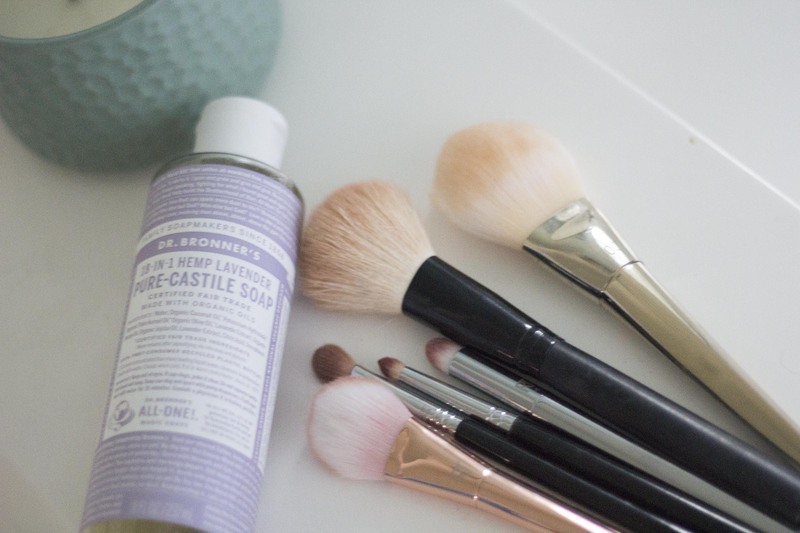 I’ve actually never purchased actual makeup brush cleaner before because it can be quite pricey–so I’ve always been trying other soaps to get my brushes clean. I recently started using this magical Dr. Bronner’s soap (impulse purchase!) and found that it is the best cleanser to get my brushes squeaky clean. I love this lavender scent too! This also works great to clean beauty blenders! Did I mention that I love lavender?? 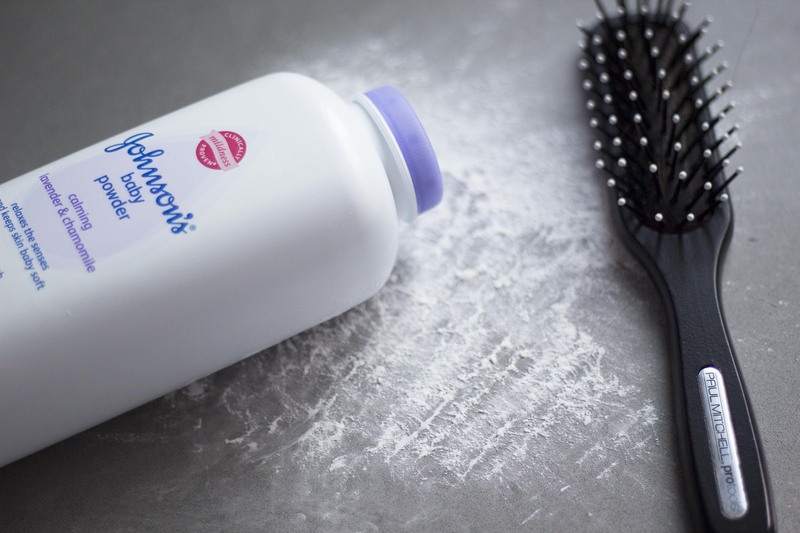 Johnson’s Baby Powder is a household staple and has so many uses beyond just babies. I use my bottle as a dry shampoo to freshen up second day hair–I add a bit of powder to a wide-tooth brush and work it through my hair. I use this method since I’m a brunette and need to really work the powder into my hair so that my hair absorbs all of it. Similar to perfecting your eyeshadow, I keep working the baby powder into my hair until it’s invisible. Plus–Love that lavender scent! Additionally, popping a bit of Johnson’s baby powder onto my shiny lipstick is a great way to get a matte finish to change up my makeup look. I learned this beauty hack from YouTuber Casey Holmes and have been loving using this method when I’m doing my eye makeup. Take a piece of scotch tape and place and remove it on the back of your hand a few times to remove the stickiness a bit. Then take the tape and apply it alongside your eye from the outer corner of your eye and leading up to your eyebrow–the shape should resemble a cat eye. Then apply eyeshadow as usual, and remove the tape when complete for a clean line. 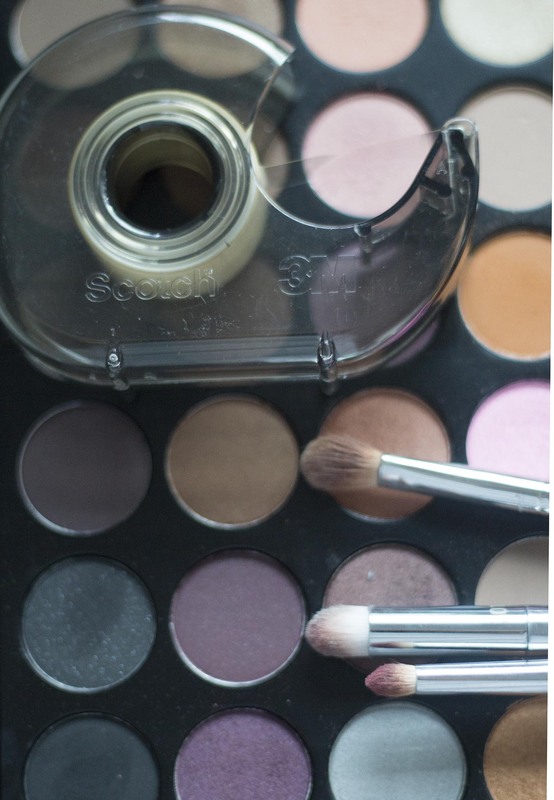 It’s a great method to prevent fall out when using darker shadows. I love a bold lip, but sometimes I want to tone down the color for different occasions. As much as I love a deep purple lipstick for fall, I’m pretty sure a boss would feel differently. I use lip balm on my lips to help lighten up the look. 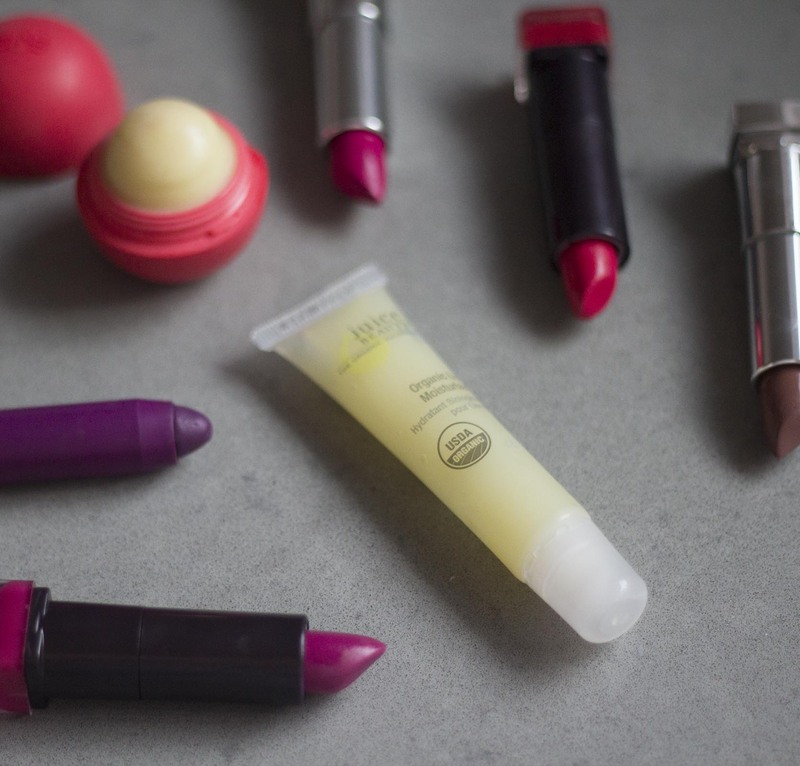 Apply lip balm and then gently pat on lip color to get a lighter application. You still get a hint of the color you love, but a touch less for when you want just a bit of color. This balm by Juice Beauty is amazing! Sometimes you just need to get a few more uses out of your mascara before you’re ready to toss it (especially if it was pricey!). I revive my mascara for a couple more uses by putting a few drops of eyedrops into the mascara and then using the wand to mix the drops in the tube. I’ve been loving this Benefit Roller Lash mascara so I’m glad I was able to extend the life a bit while I figure out which mascara I want to use next! 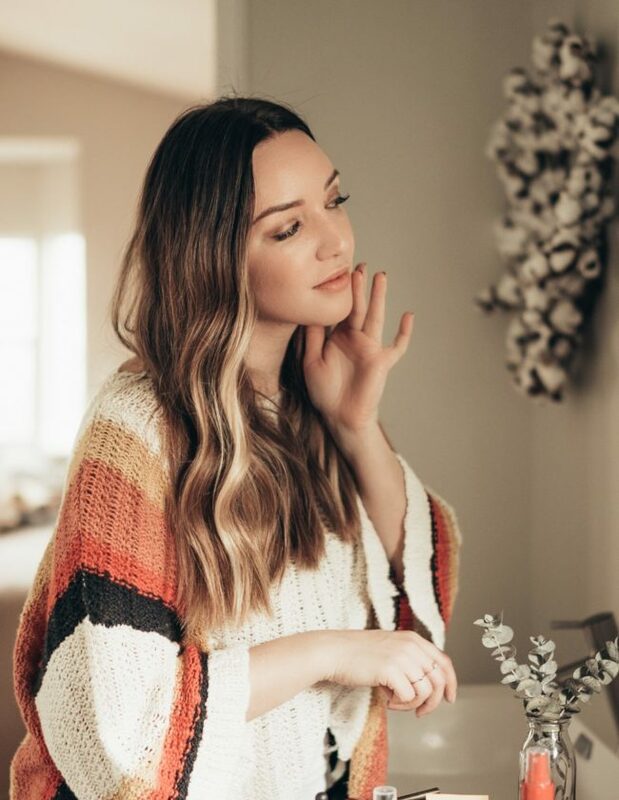 What other beauty hacks do you use, I’d love to hear! I love using powder as dry shampoo… i’ve been doing that since before dry shampoo was a thing! Thanks for sharing! LOVE all these!!!!!! Thank you! I’ve been using powder as dry shampoo for ever!! I love Benefit and I can’t wait to try Roller Lash mascara… I heard great things about this mascara. Great tips! I’ll definitely have to try these… the only one I’ve heard of was the baby powder as dry shampoo. Thanks for sharing! I always have baby powder on hand — it’s so effective as dry shampoo! these tips will be life changing! 🙂 thanks for sharing! These hacks are genius!! Pinning! These are some great hacks! I love to use a super shimmery champagne eyeshadow to fix eyeliner mistakes. You can cover a messy black eyeliner with the champagne shadow and it hides any imperfections. Plus, it turns it a pretty gunmetal color. Super easy fix! Love these tricks! 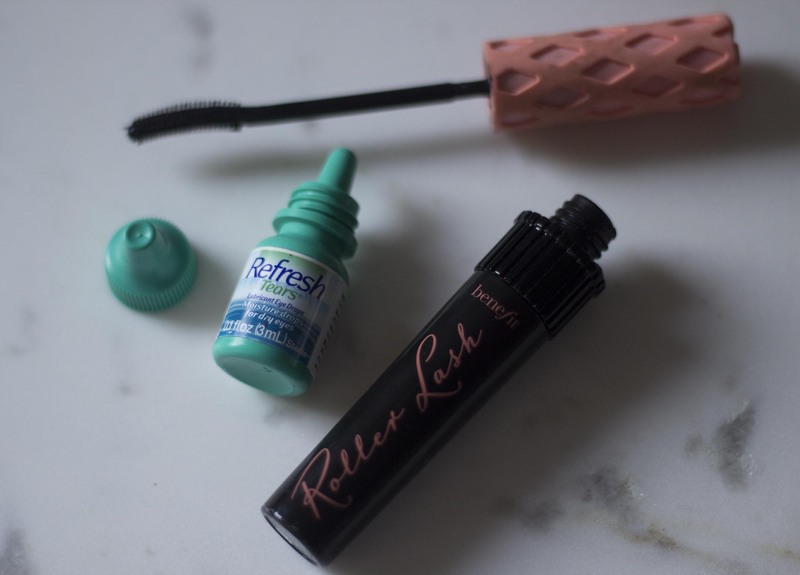 I’d never heard of the eye drops-mascara trick before – thanks for sharing! Scotch tape is my jam! I also use double-sided tape to close gaps in my button-up blouses – works like a charm and doesn’t damage the fabric. I put a drop of baby oil into waterproof mascara that’s drying up, and let it sit over night. Then pump the brush up and down before you apply. It extends your tube of mascara for a few days, and remains waterproofed.